I am often asked by people new to fly fishing what kind of gear they should get. If budget is not an issue then I recommend a Scott G Series rod, a Lamson Litespeed reel and Airflo double taper lines. If budget is an issue then I suggest compromising on the reel, but preferably not the rod and definitely not the line. The logic to my recommendations are based on some important observations, informed especially by my 12 years of sight fishing. As I have written elsewhere this immediate feedback loop provides important lessons, especially that the first cast is sacrosanct. Get the fly in the right place first cast and you will get a take most of the time. Miss the target and you will increase the chances of spooking the fish and reduce the chances of getting a take. This means accuracy is absolutely crucial. You have to be able to cast accurately so you can make the first cast accurate every time if you want to be consistently successful at catching fish. Accuracy is far, far easier to achieve with a soft action rod like the Scott G Series. 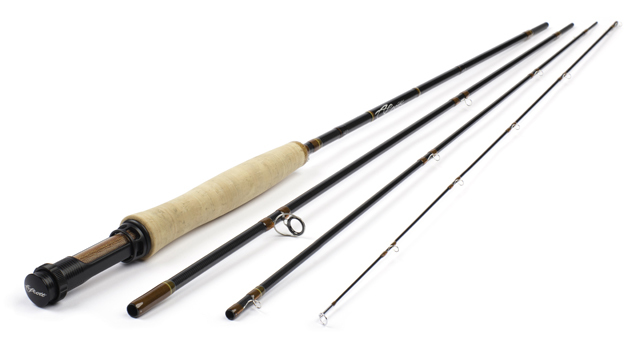 This is a rod that has received rave reviews, and is one of a long line of superb G Series rods that turn an average caster into a really, really good caster. It turns a good caster into an exceptionally accurate caster. Another important feature of soft action rods is that they are exceptionally forgiving on the take. Your timing can be slightly out and you will connect with the fish in a way you will not with a medium or fast action rod. New Zealand is has a fishery with big trout, but they are not in the huge numbers that other fisheries have. A good day can be one fish, and that means making the most of every take you get. The soft action G Series is incredibly forgiving on the take, so your timing can be out and you still hook up. Distance is far less important than accuracy. In a straight trade between distance and accuracy my experience is that the accurate angler catches the most fish. The Scott G Series needs to be configured for two different types of fishing. In lakes and in the back country a long leader is important so you do not line the fish. I use an Airflo 10ft Floating Polyleader as the base of my leader and tie my own tapered leader to make up a leader of about 20ft. When fishing drop offs, the evening rise or in tight structure a long leader is a hindrance, so I fish a level leader of 5lb Drennan that is slightly shorter than the length of the rod. Get the wrong leader set up and your catch rate will go down dramatically on the evening rise. This is where the Double Taper line is crucial. A DT does not have a belly and a running line, so you never lose your cast when the running line gets out of the rod tip as you do with a Weight Forward. Reels are far less crucial than rods when it comes to fishing in New Zealand. Trout do not require expensive reels, because they are in fresh water and they do not run as hard or as fast as saltwater fish. This means it is possible to buy cheaper reels that are every bit as effective as more expensive ones. 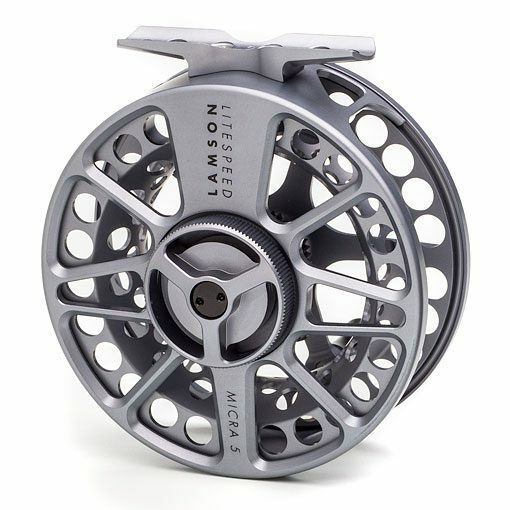 I have used Lamson & Waterworks reels since 2003 and have not had any problems with them. They are light, durable and if bent out of shape can be bent back into shape pretty easily. If budget is no issue go for a Lamson Litespeed or a Waterworks Force SL II. The lower grade Lamsons are adequate for trout in New Zealand, so do not feel you have to buy the most expensive reel. Unlike reels lines are absolutely crucial. Get the wrong line and the rod will not load properly and you will not be able to cast accurately. If you have to think about how the rod is loading and it doesn’t feel nice and natural to cast change the lines. Some years back I purchased some double taper Airflo lines and tested them on the four five weights I had at the time. Three cast significantly better with the DT than my old weight forward, while one cast better with the weight forward. The line I would choose for this rig is the Airflo Super Dri Elite Double Taper. This is a line I have used a lot and have a huge amount of faith in because it loads my rods beautifully and is very accurate to cast. For sight fishing in New Zealand it is absolutely crucial to have neutral coloured lines. Airflo’s Lichen Green is a perfect colour for sight fishing, and if I were to fish blind I would always use a neutral colour then. I have seen too many fish spook when they see a yellow or orange line to ever want to fish these colours. For fishing in New Zealand a six weight is the ideal all round weight. It can deal with wind better than a five without losing too much accuracy. It can cast far enough to be effective in lakes and big water. The Scott G Series, being a softer rod, can cast short distances beautifully. While I use five weights were I to fish only one rod it would be a six weight because five weights with different actions are nowhere near as capable of fishing as wide a range of scenarios as a six weight.